Time to wake up. It's Day #1 of Chocolate and Coffee Theme Week. 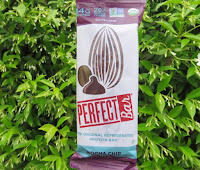 Today's caffeinated Mocha Chip bar from Perfect Bar, LLC (San Diego, CA) was chock full of organic ingredients, including dark chocolate and coffee. The line of (refrigerated) bars from this family-inspired company sampled so far have been quite good. Very satisfying. Normally, a long list of ingredients in a bar is not encouraging. 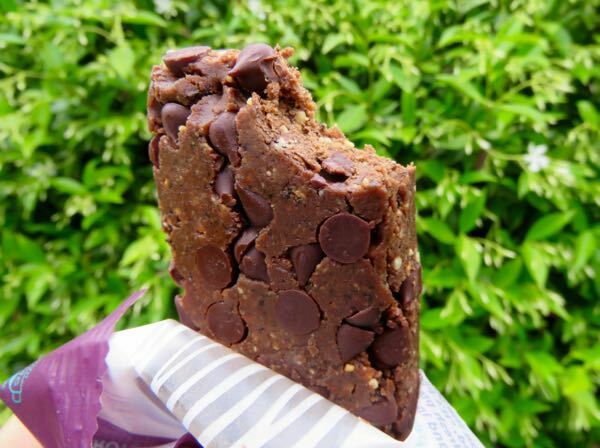 However, the list for this protein bar was all good, and helped explain why this bar was such a satisfying mini-meal. Nut butters and high-nutrient plant-based organic powders helped. Coffee and dark chocolate added rich flavor/depth. Natural-tasting, and not too sweet (thank you! ).